Platform design allows shipping labels to be delivered flat and makes this compact dispenser easy to use. Labels are applied and protected in one time-saving operation. 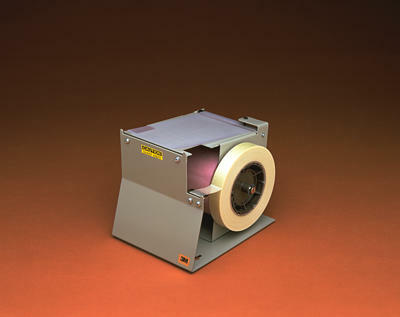 The M707 loads easily and can handle label protection tapes up to 4 inch wide. A line of portable, tabletop, or wall-mounted dispensers for Scotch� Label Protection Tapes and Scotch� Pouch Tapes. All feature rugged heavy-duty industrial construction for durable, long-life performance.